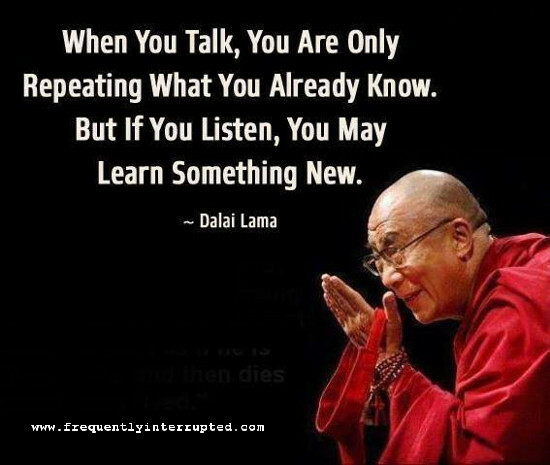 Even in a discussion when trading ideas, you are only learning when you are receiving. You have two ears and one mouth. Use them accordingly.